One thing I use my blog for is to think about themes that I think are strategically critical for the success of democracy movements. Recently I have been focusing on empowerment of ordinary people. Below I kind of sketch out the main lines I have been thinking along. The idea to start a series of blogs on this theme came to me as I read a blog from a friend who is exploring what’s going on in Palestine. The story she tells in her blog is very moving. Great example of ordinary people empowering themselves. And she writes well. I urge you to read it. However, the title she gave was, for me, off the beat: The Non-Violent Resistance of the Town of Al-Aqaba. The story is so much about people taking responsibility for their lives and creating what they need and want in spite of very stiff opposition. 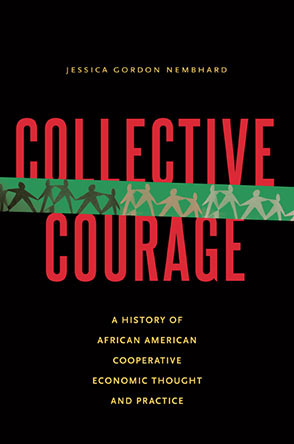 This kind of empowering work involves resistance, love, courage, and cooperation. Labeling it with the negative component backgrounds the creative power they are moving forward with. Anyway, something to think about as you read it. Fundamentally, power is the capacity to raise one’s energy and move in a desired direction. It is the life force of all living beings. We are that force. We are using our power whenever we seek to cooperate, to compete, to dominate, to submit to oppression, and so on. bell hooks passes this definintion of love on from M. Scott Peck and Erich Fromm: "the will to extend one's self for the purpose of nurturing one's own or another's spiritual growth." Loving, then, is one way we can use our power. It is not, in any way, the opposite of power. Empowerment is the process of individuals and groups discovering and actualizing this enormous potential. Taking full responsibility for one’s life and experience is essential to personal and collective empowerment. The more fully an individual or group does it, the more empowering it is. Unless ordinary people—like you and me—take full responsibility for their lives, then the long evolutionary process toward democracy, if we can speak of it that way, is going to move along like molasses pours on a very, very cold morning. From my personal and professional experience, assuming that kind of responsibility and taking hold of our own empowerment is a radically transformative process. And it’s life-long. That makes it very threatening. We have been raised to fit in to a culture that heavily promotes hierarchical relating and deep deference to those structures and processes. We have to go, to some great extent, against the grain of our conditioning and the always present pressures to conform. We don’t know nearly enough about how to help each other do this to build the kind of movements that can substantially impact our society and culture in deeply transformative ways. What's Love Got To Do With It? Everything.